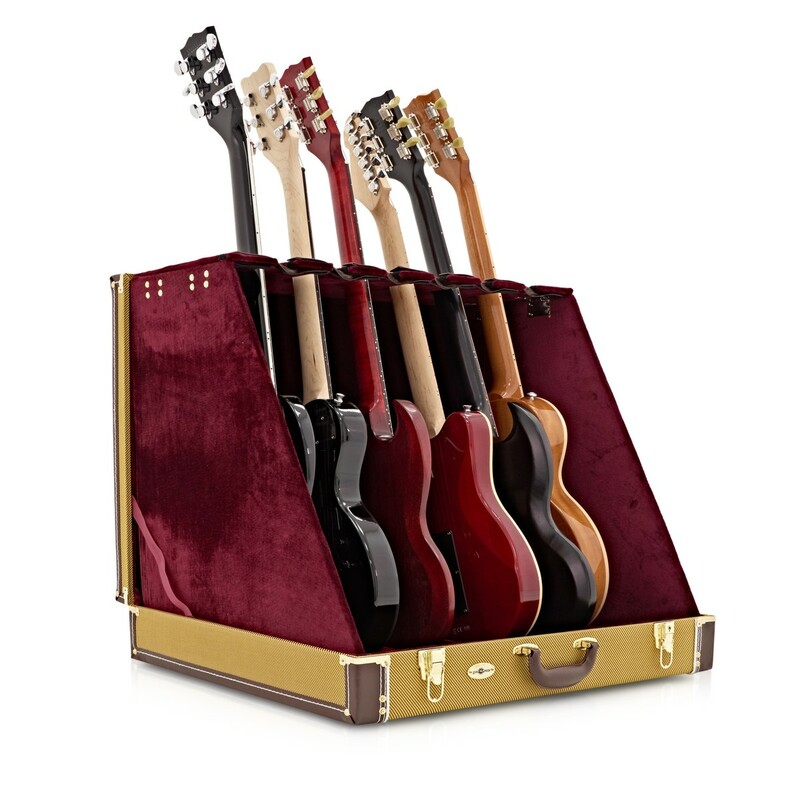 The 6 Guitar Rack Case by Gear4music, Tweed holds any combination of acoustic, electric or bass guitars. 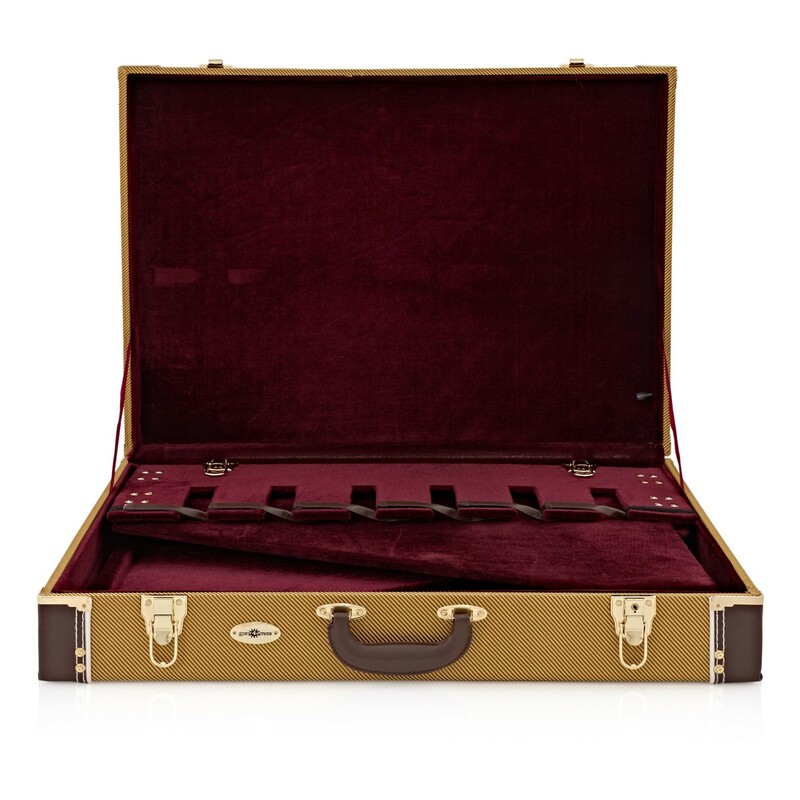 The adjustable foam slats in the base of the case can be moved to protect the standing edge of your guitars and the reinforced sides provide additional support, making sure your instruments are held securely. 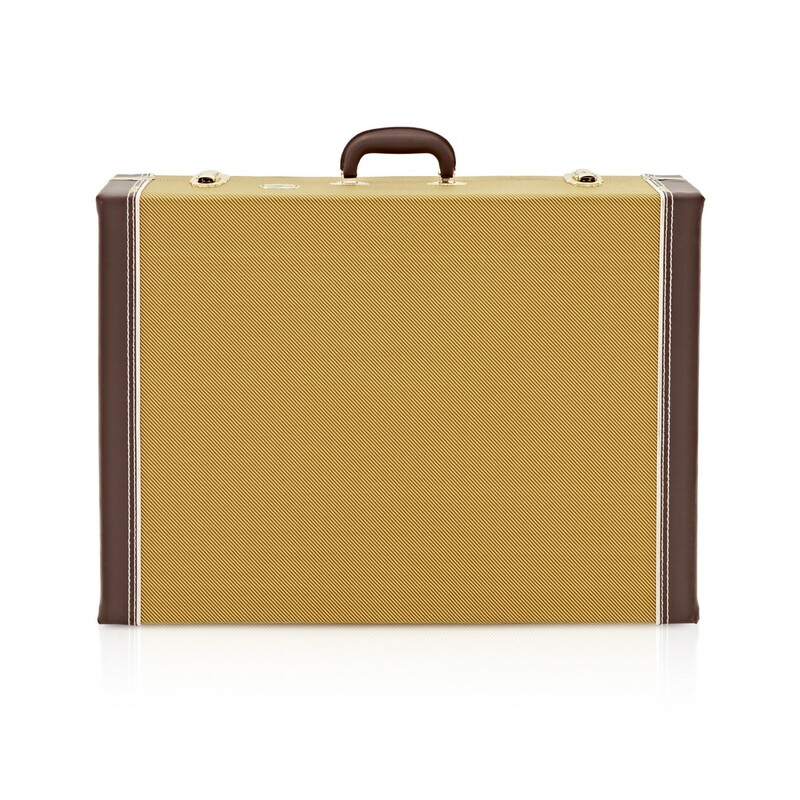 The case can be collapsed to the size of a standard guitar case for storage or transport. The 6 Guitar Rack Case by Gear4music, Tweed holds any combination of acoustic, electric or bass guitars. 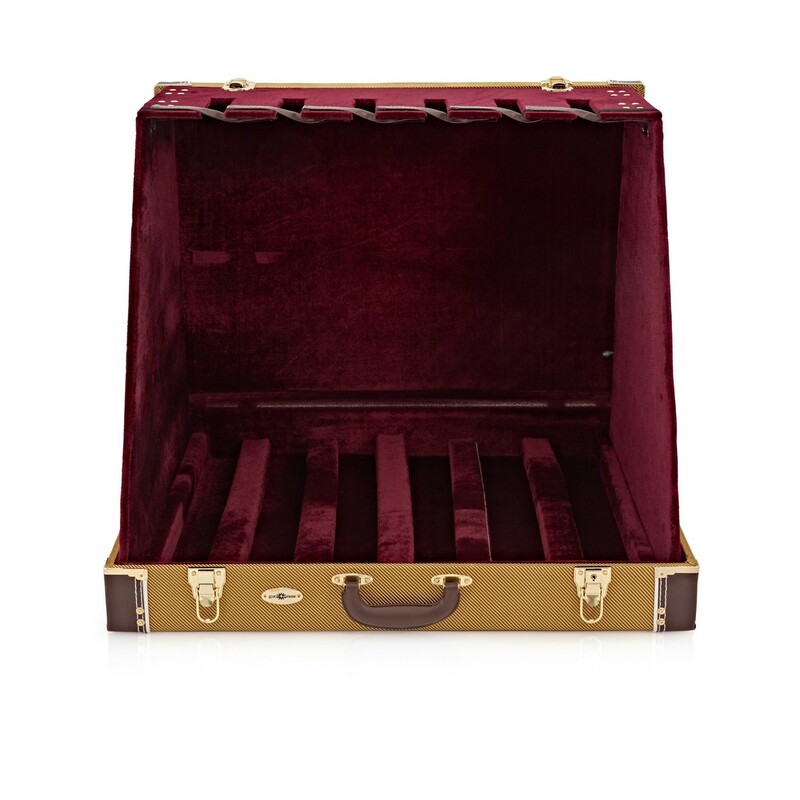 With space for 8 guitars, this case is perfect for touring bands who use multiple instruments. It is also ideal for rehearsals, where space is paramount, because it collapses down to the size of a big guitar case. 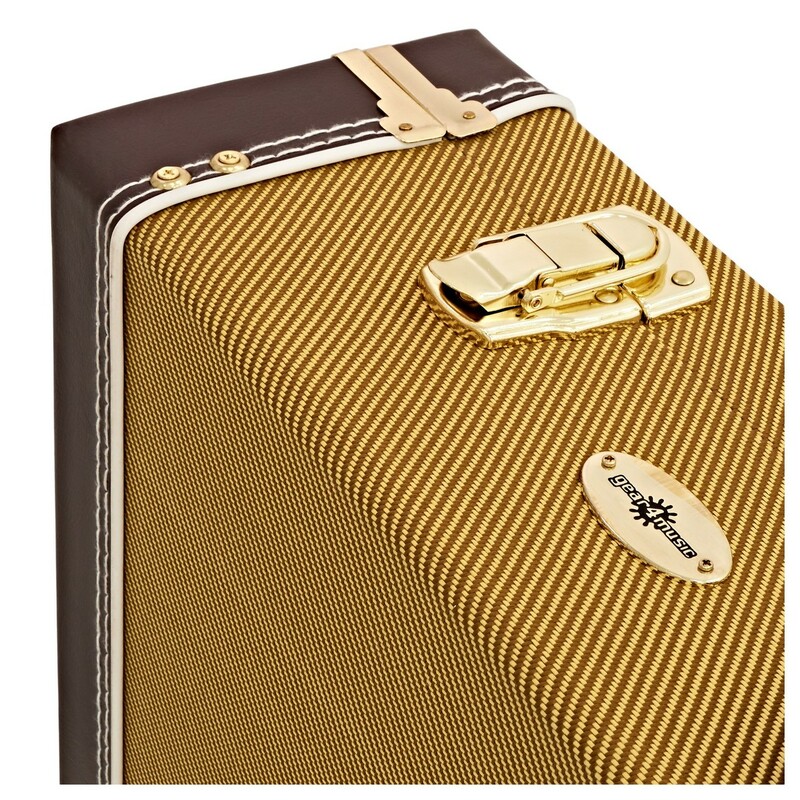 The reinforced sides provide additional support and the foam slats in the base of the case can be moved around to make sure your guitar's standing edge is protected further.